As a consequence of totally ruining our holiday this half term, I have given myself a series of "punishment jobs". So far they have included tidying out cupboards, sorting out under the stairs, securing some loose curtain hooks, attacking the ironing pile and sewing the hem on this skirt although, as our eldest pointed out, sewing the hem on your own skirt can't really be classed as a "punishment job". A few days ago I commented how when I first buy something, I often wear it to death before giving it a rest. This navy Cos roll neck jumper was one such piece this time last year. It's really versatile and goes with everything but even I reached the point where I needed a change. The sequinned skirt I bought in the Coast sale, probably three winters ago now. I know for a fact that it sat waiting for the hem to be sewn all last winter, which meant that I didn't wear it at all - so it's nice to resurrect it again. In truth I'm probably more likely to wear this skirt it in the daytime rather than in the evening, as bizarrely I would feel too dressed up in it in the evening. Others of course will feel completely the opposite and wouldn't dream of wearing sequins in the day - but I like a bit of daytime "sequinnage" whether on shoes, a top, skirt, jumper or dress - they just lighten the day. Keeping the outfit simple and just using one or two colours makes wearing sequins in the daytime a little more accessible - just in case anyone fancies giving them a try. The positives that we can take away from outfit misses (and an example to illustrate the point)! OK so just hear me out. I realise that this grey jacket would look better if it was black and that it doesn't really go with the skirt that well but the problem that I have is this: Given that it's now 9pm, do I not post at all today and simply consign this outfit to the room 101 of "outfit misses", start a new post, or post it anyway and suffer the consequences? Oh what the hec? 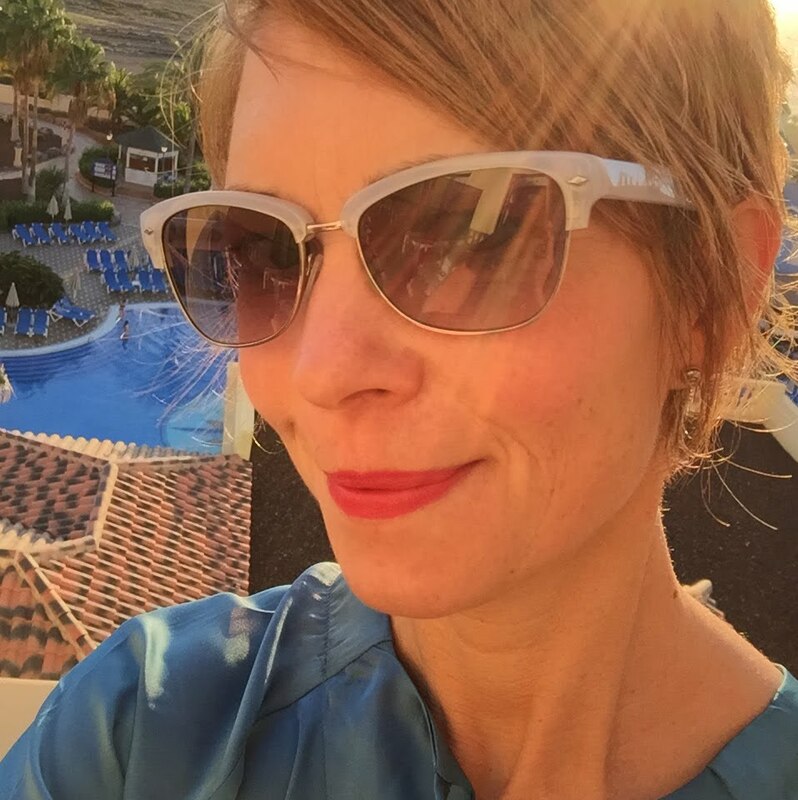 I'm just going to go for it - there are always positives that can be taken from an outfit so let's make today's post all about taking the positives out of outfit misses. First of all let me assure you that I am wearing something under this jacket and that I'm not semi naked underneath. It's just the angelic glow (!) I have about me which makes it look otherwise. To set the scene, yesterday it was our son's birthday. In the afternoon we went to the climbing wall where I knew, having taken the decision not to climb, it would be freezing. That was to be followed by a quick car journey home and a walk both to, and from, Pizza Express which is probably only 20 mins in total but that's far enough away to have to give some thought about what to wear on your feet. So, I needed to be warm, without too many bulky layers for the car and able to walk a reasonable distance. I didn't want to wear jeans either - just thought I ought to make an effort for the birthday boy. I think that hits can be taken from the top half and from the bottom half - but not together. 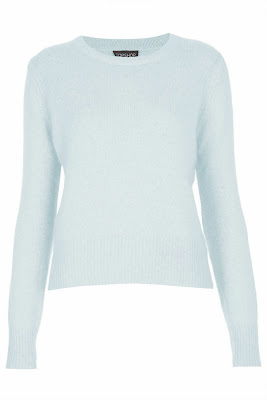 On the top half, the pale blue angora jumper from Topshop (pics and links below) is a current favourite of mine. It's warm, with a good sleeve length, pretty colour and it is quite short in length, so it sits nicely with the higher waistbands of pencil skirts. The Whistles jacket is also really soft and warm - not stiff and boardy at all, so that too works for me on an individual level. I love the biker style too. I love the print on the skirt - though I accept it's a bit of a marmite one - together with the length as it's not too short. 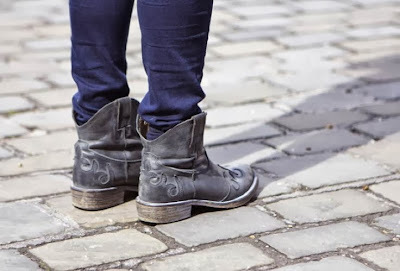 If I want to wear a slight heel, boots are the best option for me so whilst there's always that trade off between boots cutting your legs off a bit, the heel height compensates for it and these Lotta Beccles boots from Clarks last year are really comfortable. So, having taken away the positives, what would I do differently next time? Perhaps not getting photos taken of myself in an outfit would be a good start as then I could go about in blissful ignorance. I could buy a black version of the jacket to wear instead, except it doesn't exist, although temptingly the navy one does. Perhaps I would wear my cream leather jacket but that wouldn't be as warm, or a black Reiss wool biker jacket that I have but that's a bit stiff. Or perhaps I'd just think "Oh bugger it," wear the same again and not tell anyone. Yes, that's the positive I'm taking away from this particular outfit miss. I really like seeing a casual outfit with colours from a palette of navy, dark purple, dusty pink and taupe. In theory it shouldn't work but it does, especially if one of the colours is picked up twice in the outfit and also if the colours are pulled together in a scarf. That way the outfit looks intentional and deliberate, rather than a random selection of pieces. I often find that women are slightly nervous of wearing colours that don't "go" which is a shame as it can make a wardrobe more limiting than it need be. I'm a big fan of mixing things up a little, wearing things with confidence and bringing everything together with a scarf. I also think that people are generally too wrapped up in themselves to really notice what others are wearing and if they had the time to tell someone else that their outfit didn't "go" - well, clearly they have too much time on their hands. 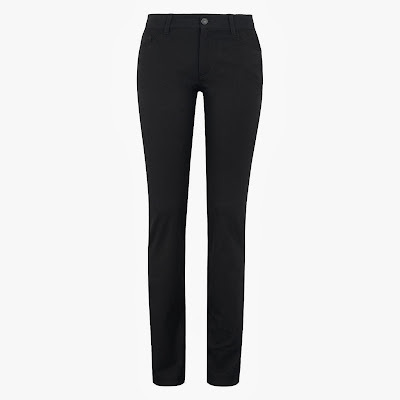 ....then I added these Jigsaw bi-stretch jeans, available from John Lewis in navy and from the store in black currant (£110). These are a great jean style trouser and a style which Jigsaw repeats season after season. The bi-stretch makes them really comfortable and they have 5% elastane, for extra stretch. The Mint Velvet waxed parka in dark blue from John Lewis (£169) added a practical touch to the outfit in terms of warmth and also because of the waxed finish. The draw string also nipped the coat in at the waist to give it some shape. The size of the Modalu Pippa large handbag in dusk (£225) from John Lewis made it casual enough to wear with this outfit. Any smaller and it would have looked a little too work like. The colour picked up the colour in the Jigsaw jumper. 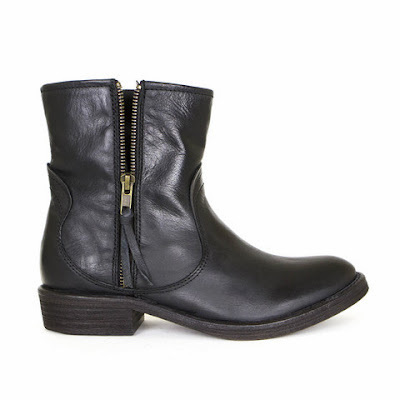 The Seven Boot Lane Abella in black (£175) worked well with the length of the jean. We left the jeans slightly scrunched up on the top of the boot for a more casual "undone" look, rather than tucking them in too neatly. Finally I worked in the Whistles camouflage scarf, which again has the taupe colour in it. 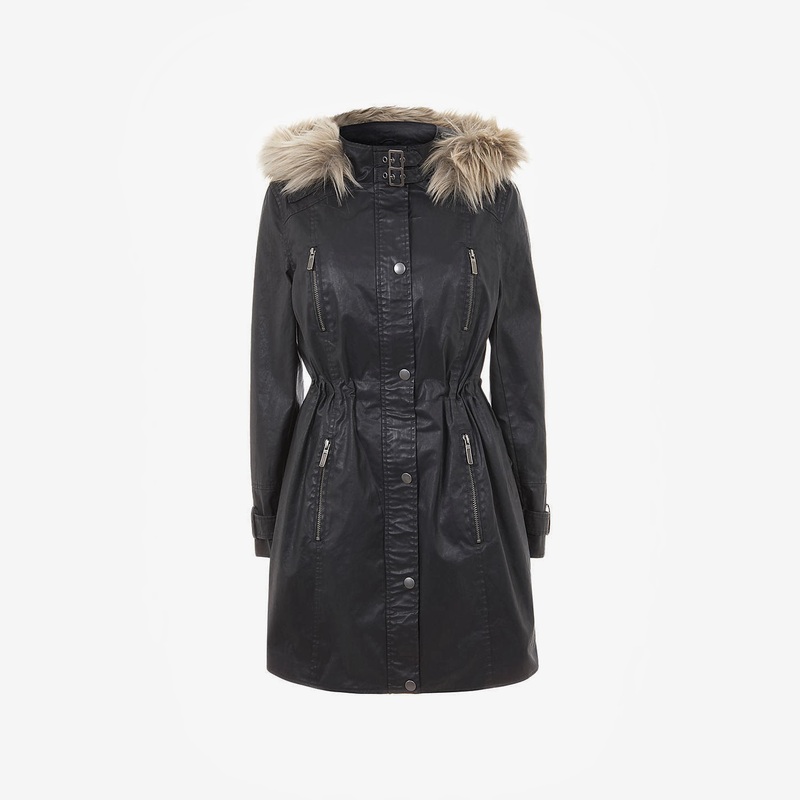 It seems to have been really popular this season, being sold out at John Lewis and Whistles - but you get the idea. Mixing spots and stripes is a nice way of making an outfit more interesting whilst at the same time not making it too challenging. You may have noticed that when I get something new that I really love, I wear it to death for the first few weeks and then give it a rest before resurrecting it. 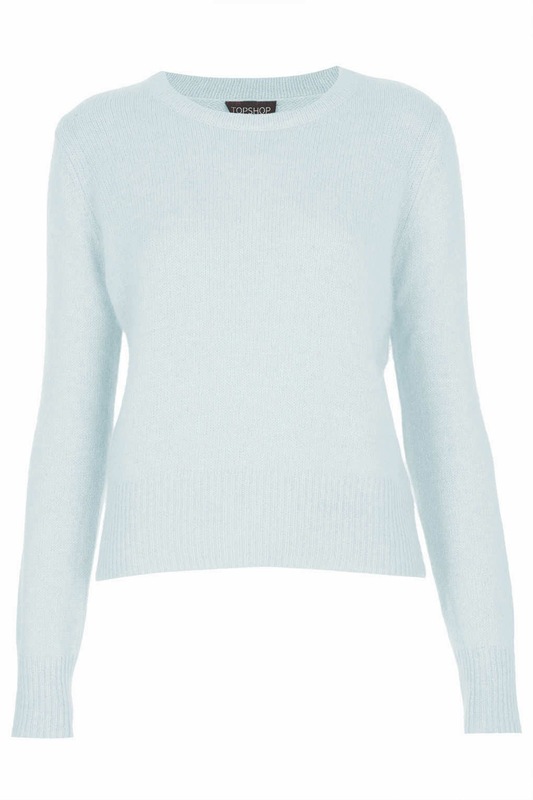 That's exactly what happened with this Boden cashmere jumper which I wore endlessly in Guernsey at the end of the summer (sadly now out of stock). Today I layered it over a pink spotted shirt from GAP, jeans and Zara ankle boots £75 (now back in stock but only in sizes 3 and 7 - sorry). It worked for our trip to the dentist (no children, you can't go on the holiday that we planned because I messed it up but you can go to the dentist instead), lunch out (success on a major scale for us as the eldest two held off from their current - and at times quite funny but I didn't say that - favourite game of insulting one another, right until the last minute) and trip to the supermarket with the eldest for Halloween treats. Now, moving on slightly, in the Sunday Times Style Magazine yesterday, Laura Weir suggested that these boots that I am wearing above (picture below) would be perfect for a first class flight to Sydney. For anyone considering taking her advice I would say, on this occasion at least, please don't. The rest of her outfit suggestions were fine - soft legging trousers, cotton T and cashmere jumper - but the boots? Heavens no! The boots, whilst lovely and comfortable (once you've taken the cardboard inserts out) are not the easiest to get off, particularly if doing it in a hurry whilst at airport security, as I found out a couple of weeks ago. Balancing on one leg, tugging at them, pulling your socks off and nearly falling over whilst at the front of a huge queue is not a good look. It also makes you a bit red, hot and sweaty too. Equally I'm not convinced that travelling for hours in fairly snug fitting boots around the ankles, or arriving in Sydney in them in the height of the summer would be such a good idea either. Having said that though, having never travelled first class I may be talking completely out of my ears - perhaps there are no queues and perhaps chairs are installed for anyone who has to remove their Zara boots in a hurry. Earlier on I captured a moment of bliss in the life of our 5 year old. New Halloween outfit on, dolly by her side, pumpkin by her feet ready to carve, whilst watching a film on the ipad in a comfortable chair. Bliss! The above three pieces formed one of the outfits at last week's Lifestyle Event at the Birmingham School of Jewellery. As I mentioned previously, I felt that it was important to keep the top half of the outfits relatively plain, so that the jewellery could really stand out - hence the John Lewis cerise cashmere jumper. I chose to use jewellery from the designer and jewellery maker Alice Stewart for this outfit as I felt that her pieces, which are inspired by nature, complemented the floral skirt really well. Equally, on another occasion, the prettiness of the skirt could be contrasted with jewellery with spikes or skulls! I loved the print and the shape of the Ted Baker skirt, which is really flattering on, especially for those with curvier hips. It works best if any top that is worn with it is fairly short, stopping at the waist to show off the narrowest part on the body. It has a great length to it for those who don't like skirts which are too short. 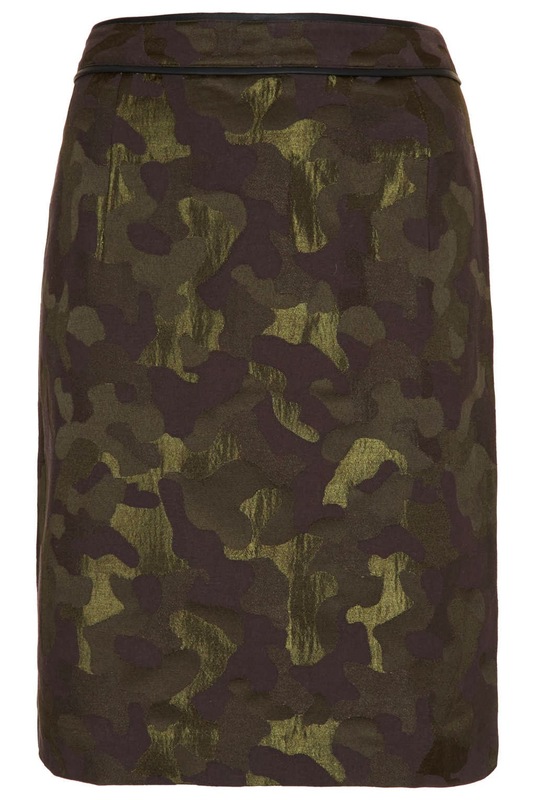 Ted Baker has used this print on trousers, sweatshirts, dresses and tops this season so if a skirt isn't your thing but the print is, there may be something else in the range for you. The texture and colour of the bag are fabulous. 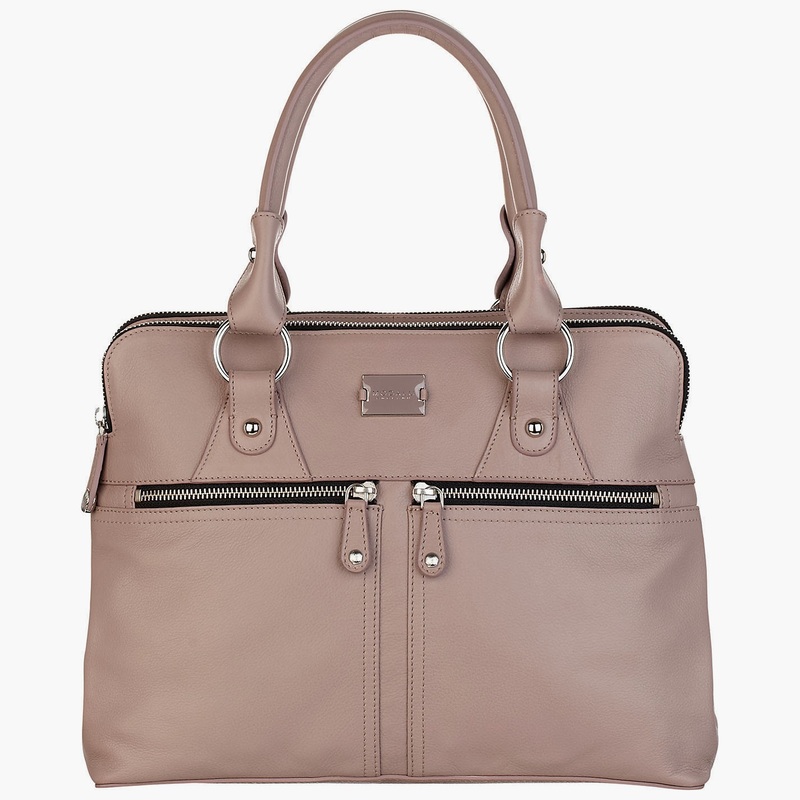 It is bright pink, textured leather and comes in a variety of colours. It's availability online seems to be limited at both the John Lewis and the Ted Baker site but I picked up the one I used from John Lewis only last week, so there are obviously some still in the stores. As I mentioned, the jewellery for this outfit came from Alice Stewart Jewellery whose work has appeared in Vogue. 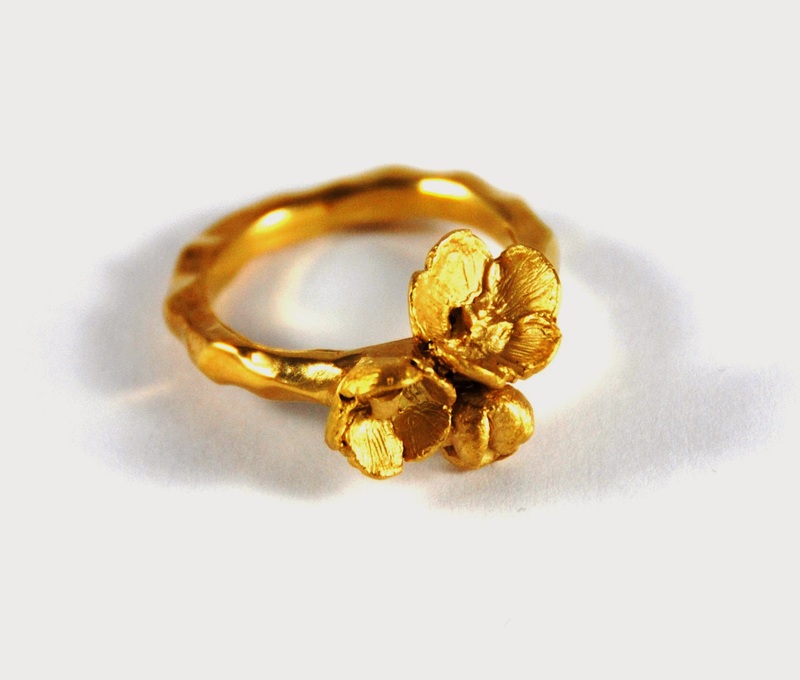 Her gold blossom ring, shown below, is £89. Alice studied 3D design, specialising in silversmithing and jewellery at Loughborough University. Her inspiration comes mainly from the beauty of the English countryside and parts of her work are satin finished as well as highly polished, to give a two tonal effect which brings the pieces to life. These butterfly ear-rings are a real favourite of mine. It's partly because that, whilst they are drop ear-rings, the hoop on them makes them more wearable for the daytime (in my little mind at least), as does the fact that they aren't heavily jewelled. Alice's butterfly earrings cost £80 and since the event she has taken several orders for these, which are proving to be really popular. Alice designs jewellery that is both enchanting and sophisticated and which takes itself from casual wear to special occasions. Alice's gold blossom bangle, shown below, is £150. I hope that I have quoted the above prices correctly but please check Alice's site for up to date prices. I don't want to get myself into any more hot water right now! The plan for our half term holiday was this: Go to Wales today, celebrate our son's birthday there on Tuesday, go for walks on the beach, light fires, carve pumpkins, bake cakes and come home on Thursday. This is what actually happened: We went to Wales to day and, two hours later, we came back from Wales. Why? Because some numpty (me) mixed the dates up so that when we arrived, the people who had actually booked to stay in the house this week, had arrived. So, 300 miles and five hour later, we are now back home. I have a lot of humble pie to eat. I thought that it would be a nice idea to have an every day jersey dress to wear at the weekend and so yesterday I bought this black dress from GAP, which was £24.95 in the sale. Today I wore it casually but I plan on styling it in several different ways over the next few days. 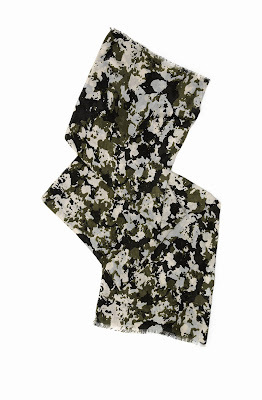 Here I wore it with a camo print scarf from Whistles, which is no longer available on either the Whistles, or the John Lewis site, though there may be some sneaky ones lurking in stores somewhere. I also wore my new Abella boots from Seven Boot Lane and a smile which, oddly, I don't now seem to be wearing! When I was first invited to a meeting to discuss the "Jewellery Quarter Lifestyle Event" in the late Spring, I have to admit to being slightly in the dark. When those present at the meeting spoke about the "BID" I didn't know what they meant. Finally I plucked up the courage to ask and realised that "BID" stood for "Business Improvement District" and that the Jewellery Quarter in Birmingham had one. 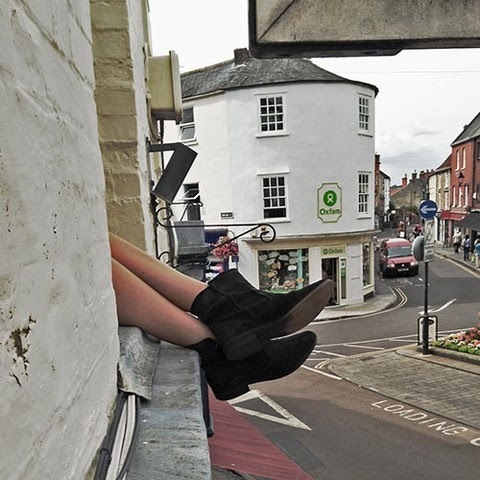 In an area which has a BID, certain qualifying businesses pay an amount of money to the BID and that money is used to market the area, to raise its profile and to improve its appearance and profile. In a nutshell, the aim of the event we were discussing was to raise the profile of the Jewellery Quarter to other sectors of the City. Now - and forgive me for those not really interested but - I have lived in Birmingham for 18 years and although I know it pretty well, I have never really paid the Jewellery Quarter much interest but oh my goodness, the talent there is incredible and I will never buy jewellery from anywhere else, ever again. My role was to speak primarily with the jewellery designers and makers, to visit their premises, to take photos of their work and then (with the help of the lovely Partners at John Lewis Solihull who kindly let me have the use of their store and who lent the clothes to me for the event) to put the jewellery with various outfits for models to wear on the night. The talent within the Jewellery Quarter is unimaginable. From established jewellers working on commissions for people such as The Duchess of Cornwall, Fearne Cotton and Pixie Lott, to young women who are just starting out cutting beautiful pieces from leather and making 3D jewellery in silver and gold, to established jewellers and gemmologists who make incredible contemporary pieces, I was blown away. Tucked away in studios no bigger than box rooms in old factories which have been divided up into units, and with room only for a computer, some machinery (and thank you cards) these amazingly talented jewellers find themselves in a catch 22 situation with not enough income for a shop but equally people don't know where to find them to buy their pieces to generate that income. So, that was the purpose of last night's event - to bring that talent to a wider audience. To set the scene, this shot was taken as people arrived at the event, which was held at the Birmingham School of Jewellery - the biggest school of jewellery in Europe. We had over 20 businesses exhibiting, about fifteen of whom were jewellers and the rest were made up of other businesses within the Jewellery Quarter. Several jewellers couldn't be present as they were collecting awards on the night, which was fantastic. I had it mind that the clothes should form a backdrop to the jewellery, which largely meant avoiding frills, print and fussy detail so that the jewellery could stand out against a background of silks, velvets, colour and texture. I found this picture on twitter which someone had taken whilst I was doing my bit! 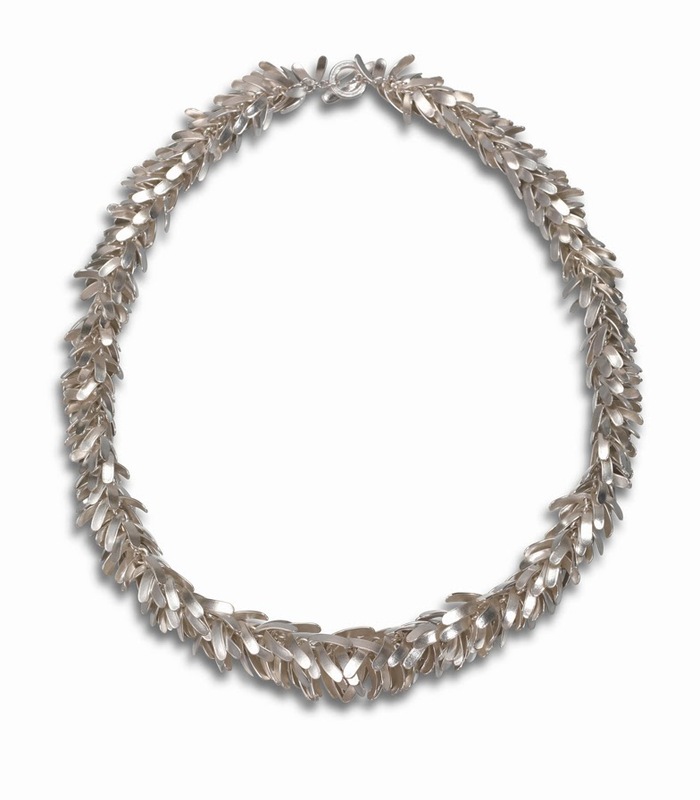 This necklace by Glenn Campbell took three, eighteen hour days, to make and was made especially for an exhibition at Goldsmith's Hall called "Growing talent", the aim of which was to show the development of a group of talented young designer-makers. For anyone interested, you can read more about it here. Now that it is back in Birmingham Glenn is looking forward to exhibiting the piece here. 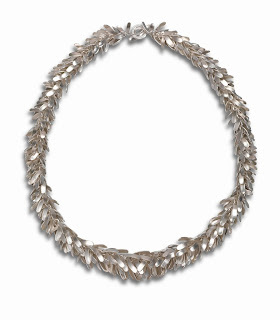 The necklace is priced at £2700 and each individual link was shaped, flattened twice, then heavy paper was pressed into the link to give it the fine surface texture. Each link then had a hole punched into the top and was curled round and joined up. Here's a closer picture of the necklace, which was incredible to wear. We had an amazing team working on the event and hopefully the exhibitors will benefit from the event hugely, which we are planning on repeating in the Spring. Here's a link to the Jewellery Quarter Bid and if anyone is planning on having any jewellery re-worked or commissioned, or if anyone is looking for an engagement, wedding or eternity ring - or if anyone just feels that they deserve a treat and want something special making - I would love to point you in the right direction. I need to do some shopping by proxy of I fear that things are going to get tricky at home! 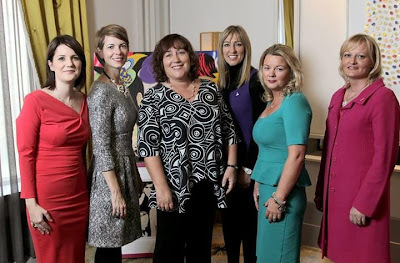 Last week I was really privileged to be one of three guest speakers at a lunch at the Merchant hotel event in Belfast, which was held by Action Cancer and which was sponsored by BDO and the Bank of Ireland. The charity, which doesn't receive any government funding, was celebrating its 40th year. It offers a fantastic service which includes a breast cancer screening service for women aged 40 and over - screening on the NHS starts at 50. The room looked incredible - so much hard work had gone into making everything look fantastic. Thanks to Sue Wilty for taking the outfit photographs that day. 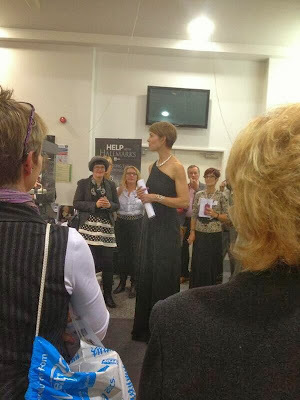 Here I'm wearing the lace Camelot dress by The Fold London. It's not currently available in this finish but will soon be available in a lovely sparkly navy fabric. This is a clearer shot of the dress but please excuse the scary eyes! 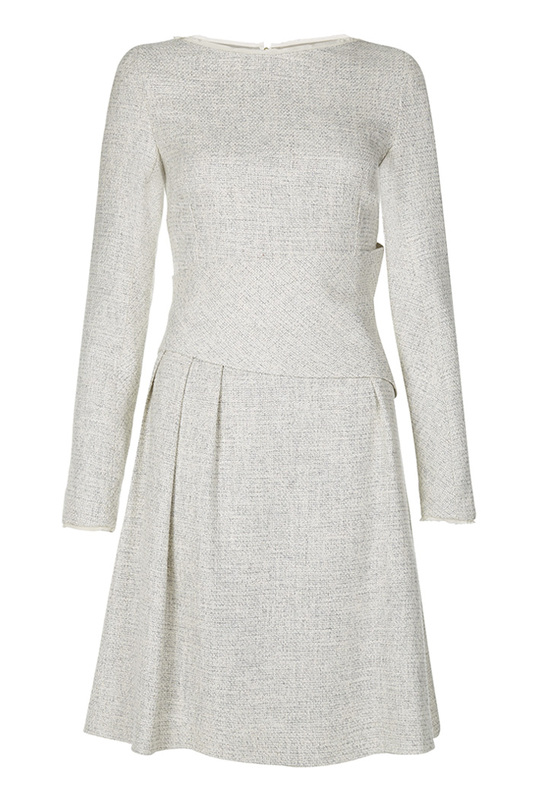 And look who's was wearing the same style dress, but in winter white, the day before - doesn't Holly look lovely? The first shot included, left to right, Laura Jackson (BDO), me, Rachel Abbott (author and guest speaker), Sue Wilton (Director Roe Park Resort), Christine Boyle (MD of Lawell Asphalt and guest speaker), Maria McAllister (Bank of Ireland). Sadly Kerry Anderson, possibly the most stylish pregnant lady I have ever met, wasn't on the picture - she totally rocked a Zara sequinned dress! Thank you to everyone who gave me such a warm welcome in Belfast. The chat and the laughter were fun and it made my first visit to Northern Ireland a fantastic one. Thank you! I really like that part of blogging where I get to find out about new brands that I wouldn't necessarily know about otherwise - and then share them with everyone! Seven Boot Lane was established in 2012 so is a fairly new kid on the (boot) block. Having taken a good look at the site, and having read the about page - which I think reveals as much about a brand as anything else - I didn't hesitate in accepting their kind invitation to try a pair of their boots to feature on Style Guile. 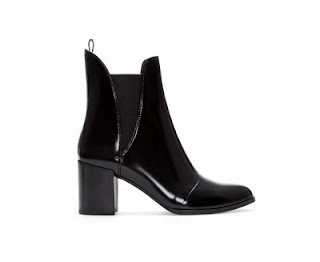 Actually that's not strictly true, I did hesitate just to double check that they were absolutely sure and after they said yes, I went ahead and chose the Abella boots in black leather. With slightly sore toes today and with the rain lashing down, I thought that it would be a great day to put the boots to the test. As soon as I put them on they felt lovely - and this time I did double check to make sure that there were no cardboard inserts before wearing them for a whole day. Testament to their comfort comes from the fact that I still had them on until it was time to go upstairs this evening to bath the youngest. Up until then I had avoided going upstairs for any reason as I didn't want to take them off - cream carpets and rain swept boots don't work. How ridiculous is that? I know, off the scale in ridiculousness but I didn't really need to go upstairs for much other than the dirty washing and that won't be going far. Like many, I am a sucker for lovely packaging and these boots were certainly wrapped beautifully - it's the small things that count! As I opened the box, the smell of leather really hit me. I even asked our son (poor boy, he's so tolerant) to come and smell them. When I asked him what they smelt like he said: "Proper boots." So they got his seal of approval. 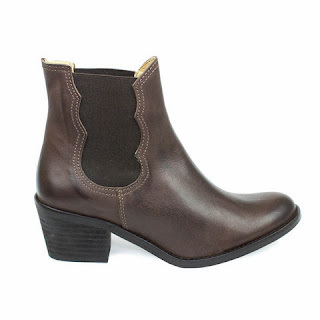 These give a good side view and an idea of the height of the heel (flat but not dumpy feeling) and the height of the boot too. 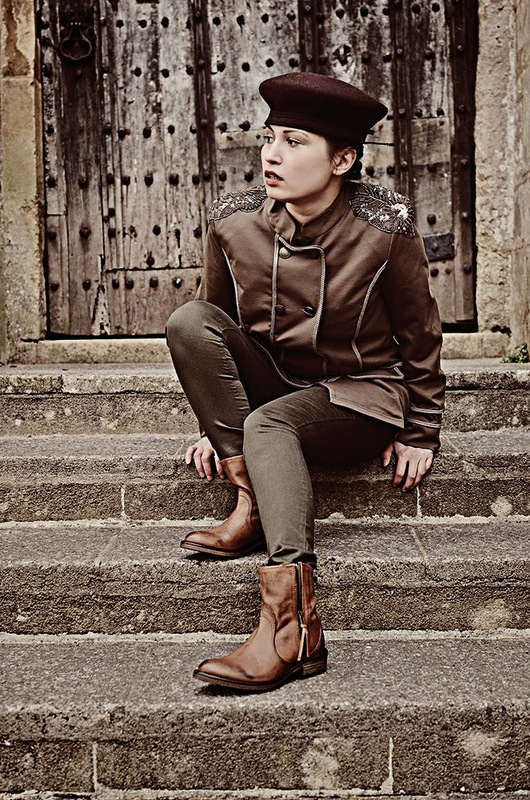 This is the tan version of the Abella boot, taken from the Seven Boot Lane lookbook. I love the Annie in charcoal leather (£175) which also come in khaki suede. They have that fantastic slightly beaten up look which works so well with jeans and a leather jacket, with tea dresses and thick tights, or with a short dress and tanned legs for a festival in the summer. 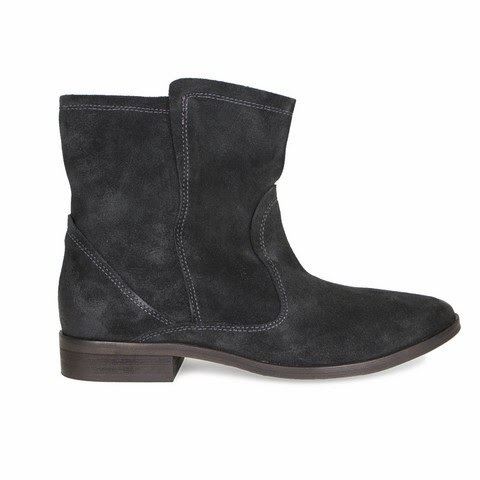 The Alice charcoal suede (£150), which also come in sand suede are a great every day boot and are so versatile. A lovely alternative to leather, they add some texture to an outfit. This photograph is taken from the Boots on Tour section on the Seven Boot Lane site, where people can post photos of themselves wearing their Seven Boot Lane boots, getting a chance to win a pair in the process. The Angelica charcoal boots (£175) offer a lace up work boot that can be worn up or down. 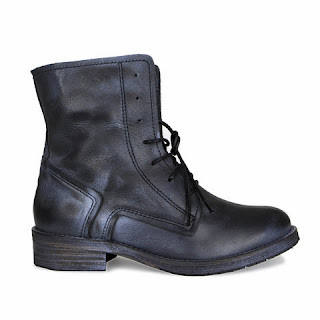 They're a brilliant way of tapping into the grunge look, which is such a big look for the season. See the Angelica's on tour! The Alabama in chestnut (£160) also come in black and there are biker boots, knee high boots and brogues too. There are so many lovely boots on the site that it's hard to choose a favourite. 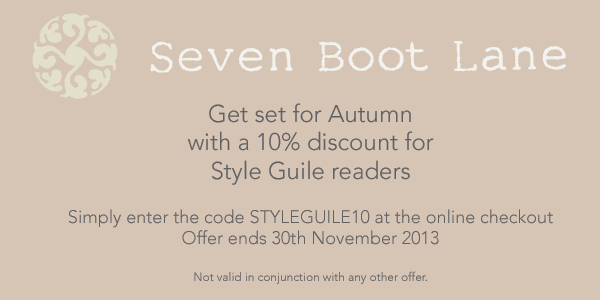 For anyone tempted with a lovely pair of boots from Seven Boot Lane, there's a 10% discount for Style Guile readers, available with this special voucher below. At last, the day of the Birmingham half marathon dawned. Despite the initial downpour, the sun came out and as we were warming up true Brit style, complete with an instructor who was doing some serious 80's moves, it was really warm. For the most part, I had a blast. The course is relatively flat most of the way and I remember having a little sing along to my extraordinarily bad play list. In fact my friend and I concluded prior to the race that if anything were to happen to me during the race, any possible street cred that I may ever have had would have gone right out of the window when they realised what I was listening to. Hanson anyone? See, I told you it was bad! OK, so I had spotted family at this point hence the inane grin but I fear that I looked like that quite a lot of the way round - other than at the evil hill towards the end but fortunately a friend was at the top to cheer me on. I just remember shouting to her "It's hard, it's really hard." Anyway, the point of the post is to show you my lovely Next grey checked - but let's be "fashiony" shall we and call it "plaid" - Onesie, given to me by my friend as a pressie to be worn specifically after the race. Ah, it's lovely and warm and I plan on wearing it from now until Spring. The bobble positioning may require a little attention but you know, all in good time. I made this last night, specifically for today as a treat on returning home. Sadly I haven't made as much of a dent in it as I would have liked but there's always tomorrow. 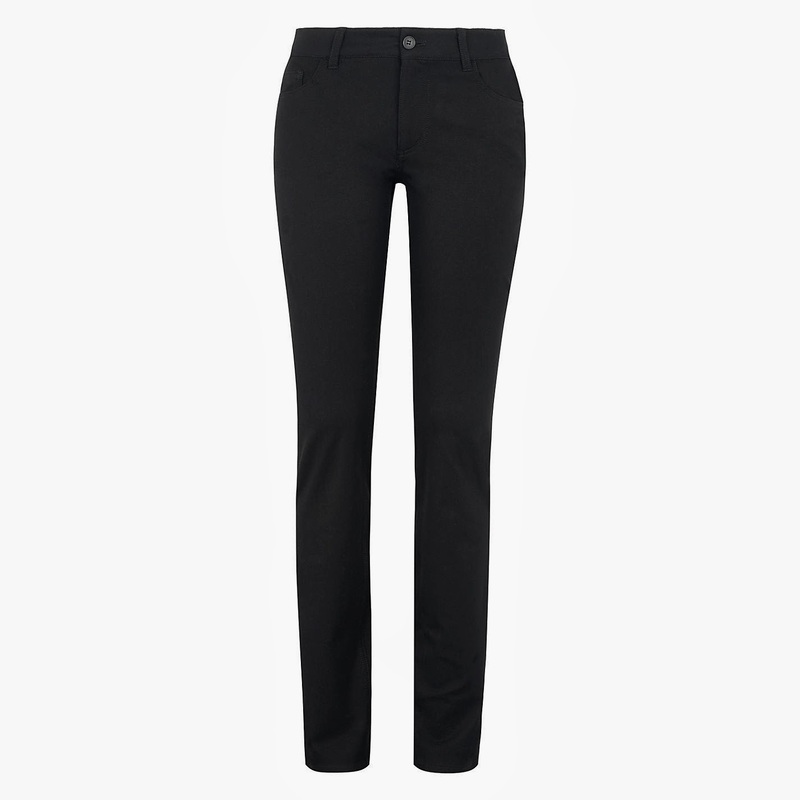 Trophy Trousers - the winter wardrobe saviour!